I’m walking through my collection on a Monday. Last Monday, or maybe two mondays ago, as I write this, but you may be reading this three years from now so I’ll just say, “It was a Monday”. I’m looking around at the trees, as I do, and I see an empty spot. 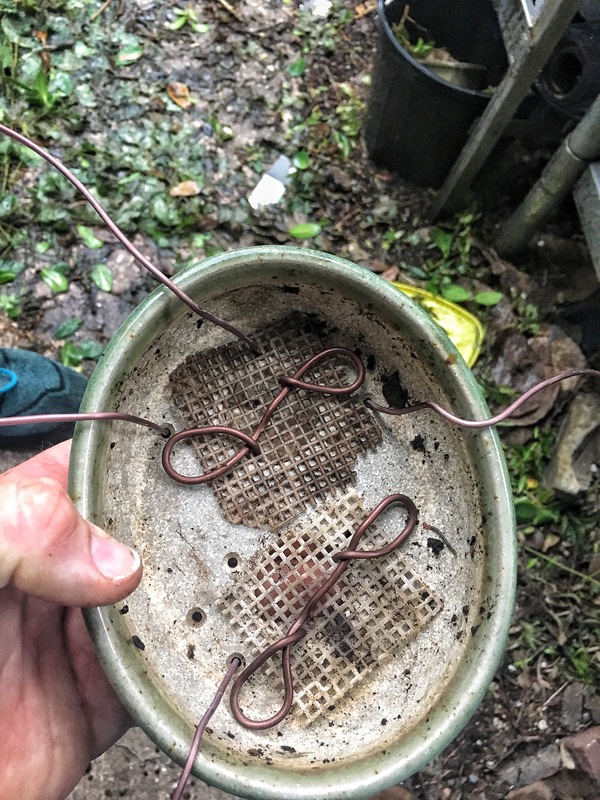 Of course the first thought is “Uh oh, someone stole it!” But the second is to look around on the ground in the jungle of growth under my stands. And there it was. I’d like to blame the cats. But the stand needs to be repaired too (tip of the day, metal stands rust. They look cool but you gotta fix them after a while. 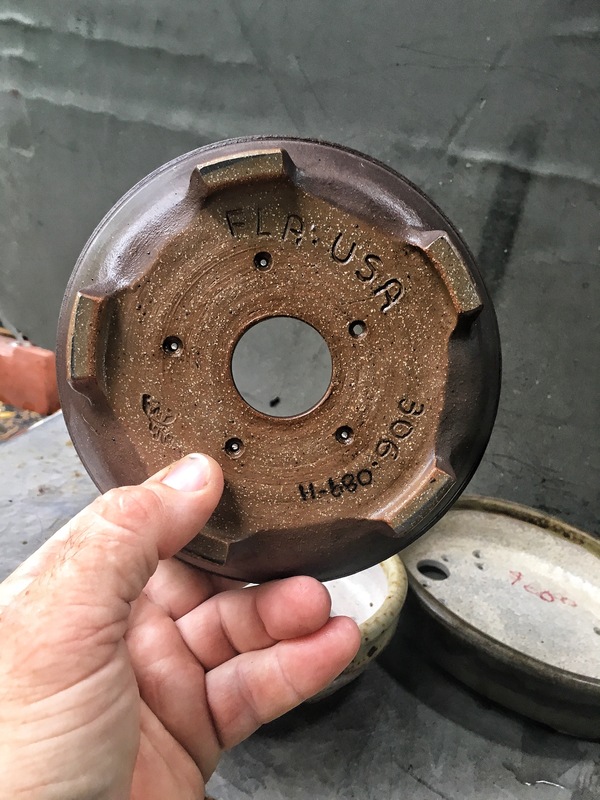 Fertilizer really eats up steel). So here I am, oh, woe is me, a broken pot, a rusty stand, I’m in for a bad day. But, as is always the case, my problems are pale by comparison to the rest of the World’s. On the Tuesday, I learned of a friend’s passing. 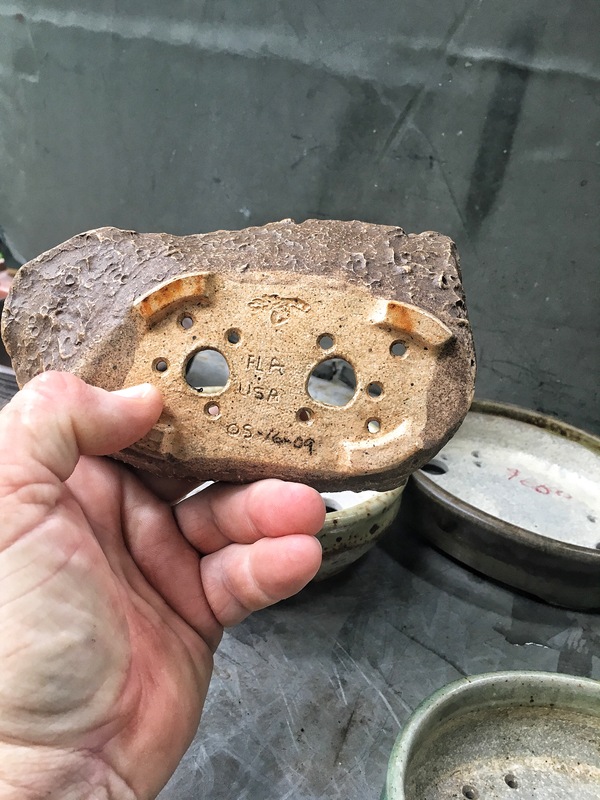 His name was Paul Katich, an American bonsai potter, bonsai artist. My Monday wasn’t so bad after all. His obituary, as they all do, leaves too many details about a man’s life, out. And I don’t know many of those details either. 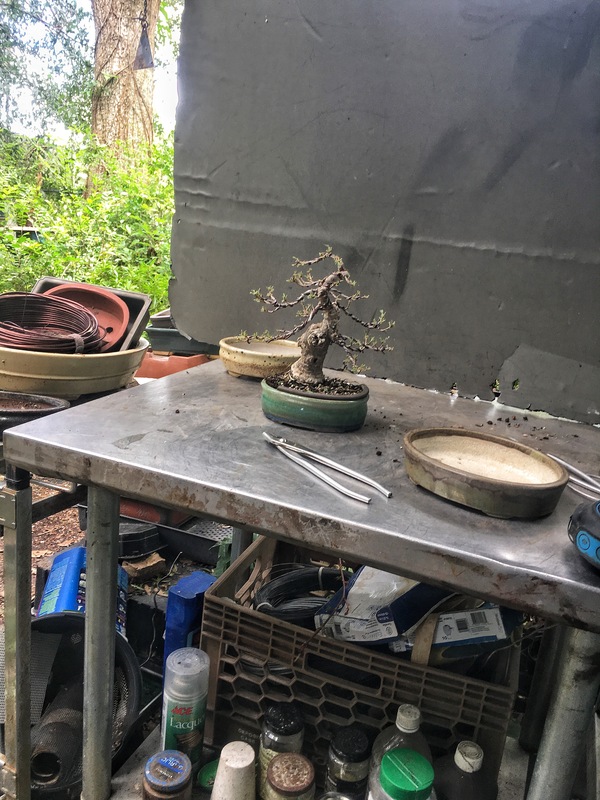 I only know what he did, which was excellent bonsai and bonsai containers, and the conversations and time I spent with him. And that’s what life is, spending moments and remembering those moments when, perhaps a shared joke, or a drink, or meal, make the loneliness that is the true reality of man, go away for a little while. And it’s those moments One should cherish. 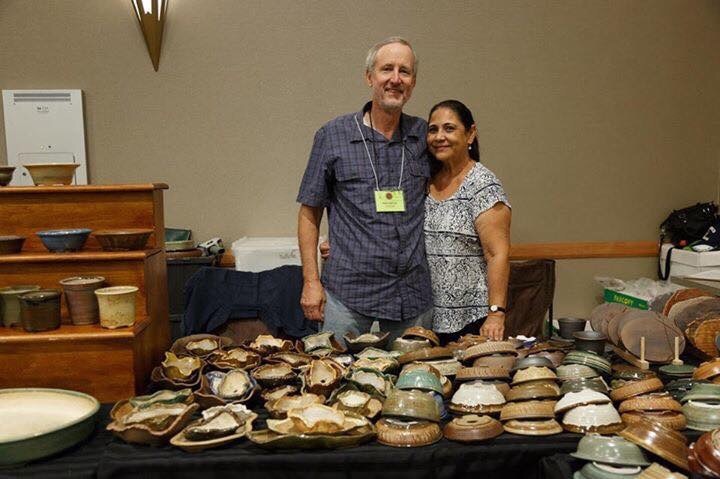 The last time I saw Paul and his beautiful wife Norine, who is always smiling, was at the 2017 Abs/Bsf convention in Orlando. But, because of a snafu that occurred with a scheduled teacher that didn’t make the seminar, I was suddenly occupied for the whole event, teaching four classes and giving a demo. The only words I spoke with him were the usual ones “Hey! How are you? How you been?”. I spoke with Norine a little more, she told me that Paul was just getting over a cold. She was always looking after him. Of course, I wish now I had spent more time with him at this convention, even just a short conversation over pots, but, as I thought, I was too busy. I remember a convention, this one was in Lake Mary Florida, several years ago. I was instrumental in finishing a bottle of Knob Creek Bourbon that Paul had brought along. We both got in trouble that night. That’s where I learned why it’s better to buy, and drink, good bourbon. I have a new student, his name is Evan. He is going to be a senior in high school next school year and he’s already thinking of college. 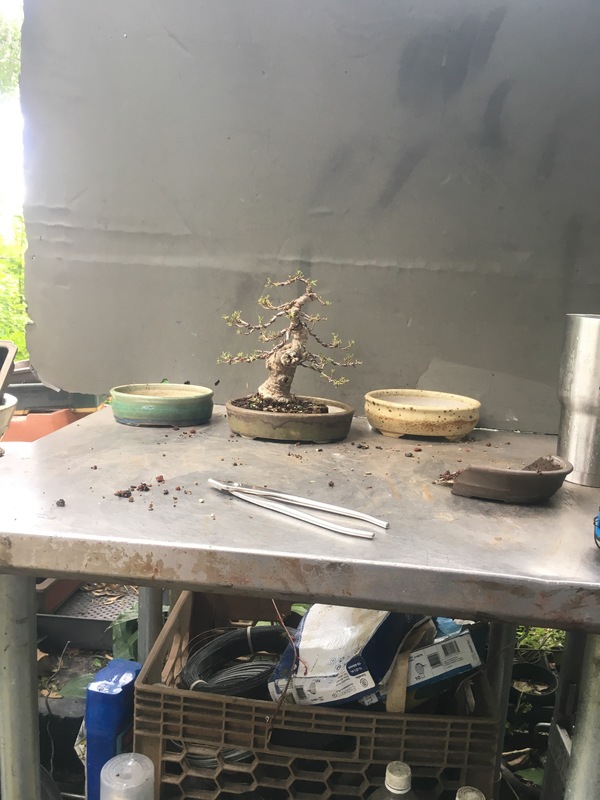 What that means, if you are into bonsai trees, is that you can’t take them with you when you do go to college and stay in the dorm room. 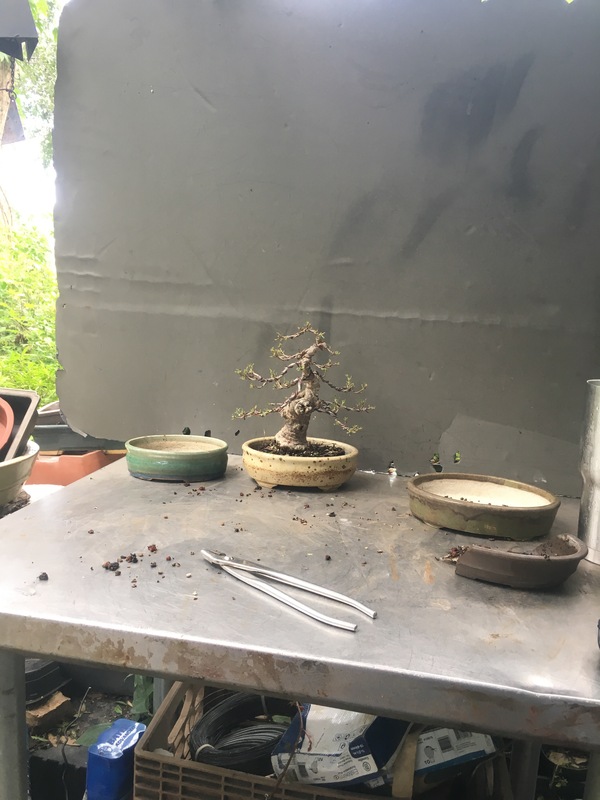 Bonsai don’t live very well in dorm rooms, as you may have known. 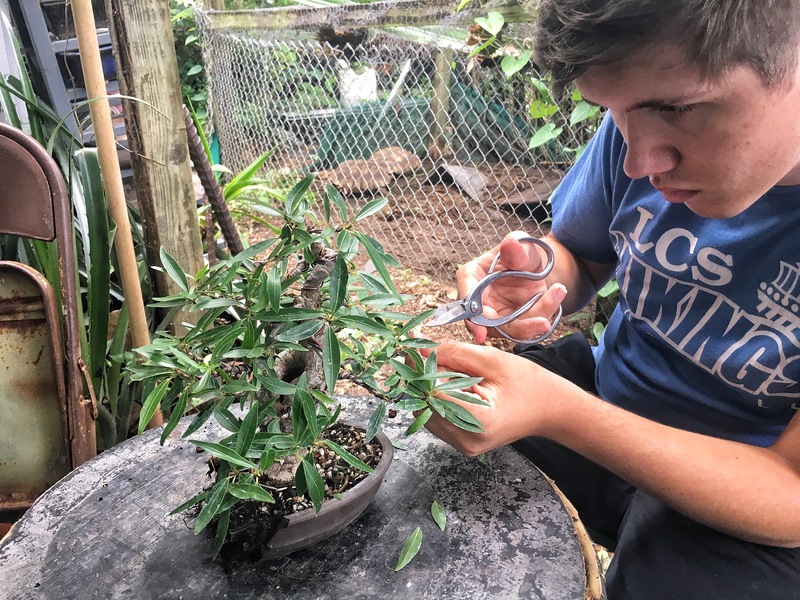 Evan is so intelligent and has the forethought to understand this, a good two years away from his dorm room experience, that he reached out and asked, on the Bonsai sub on Reddit, for some suggestions as to what he should do. As usual, on any Internet forum, there were many a varied and convoluted bits of advice. Well, for my two cents, I volunteered to board his trees at my nursery in exchange for labor, like pulling weeds, carrying heavy things, etc. After some private messages, and asking his mothers permission, we came to an agreement. And now I have a student that comes once a week. 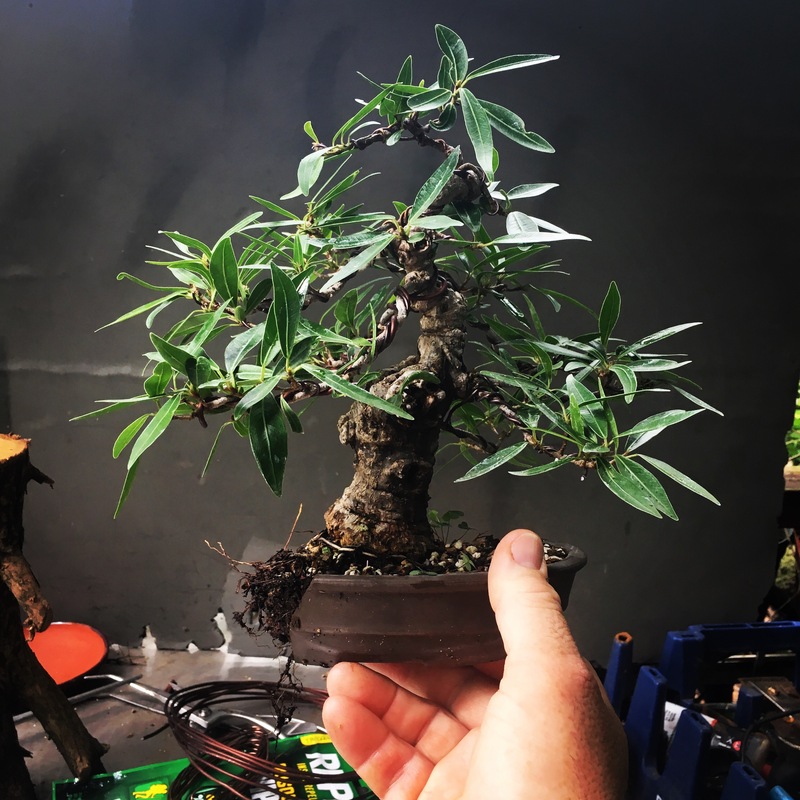 He’s helped with unwiring and re-wiring, repotting, defoliating. And carrying heavy things too. How does that relate to Paul Katich? 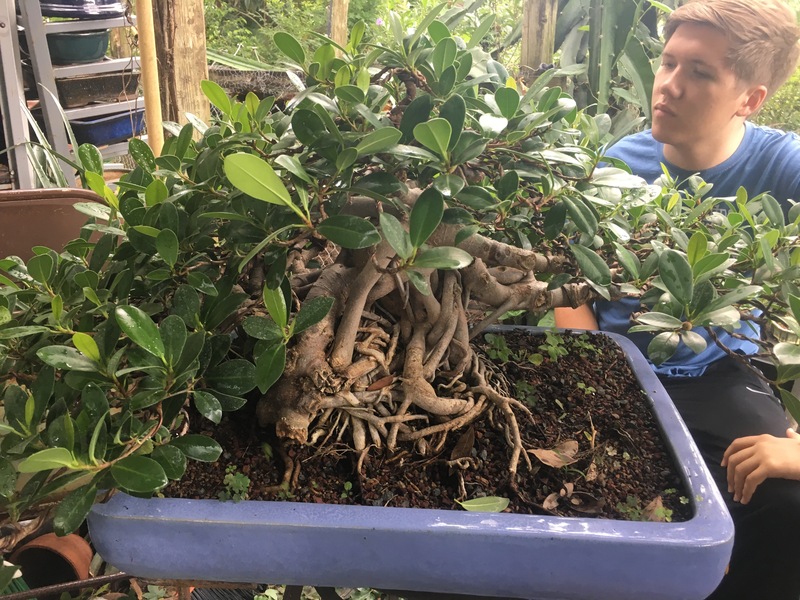 I let Evan choose a new pot for the ficus from above. 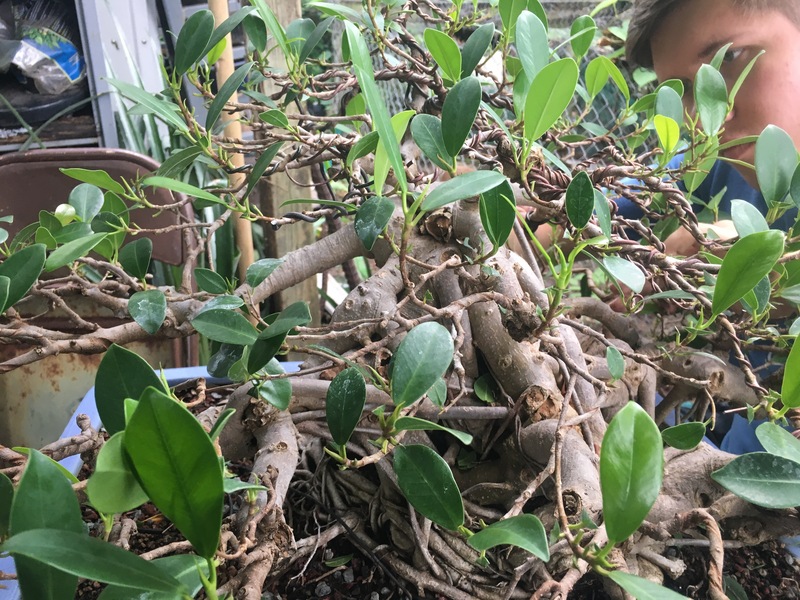 Here’s some of the choices: As I set Evan to work defoliating that ficus (it’s a ficus salicaria, btw, a willow leaf ficus)….. …let me show you the pots. 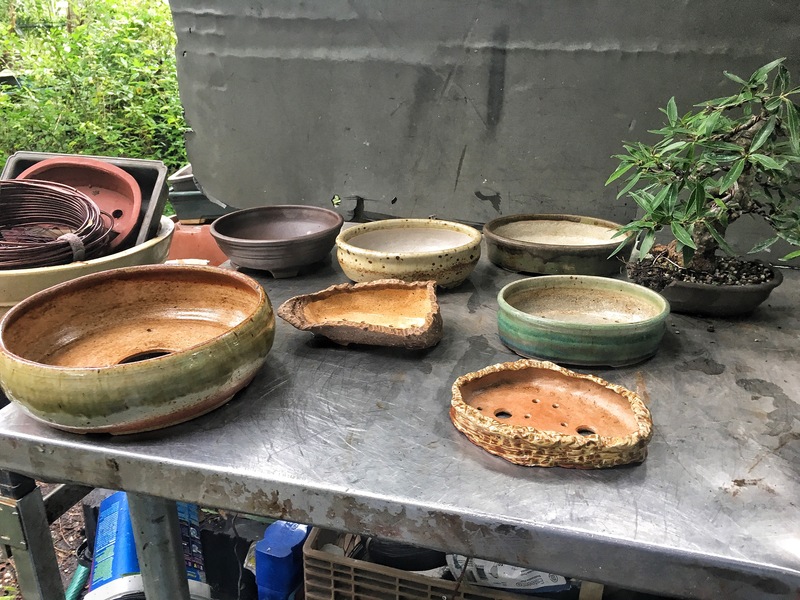 First, these are all pots made by Paul. His building skills were near perfect…. ……just look at the lines of this round…. ……you could etch glass with it. 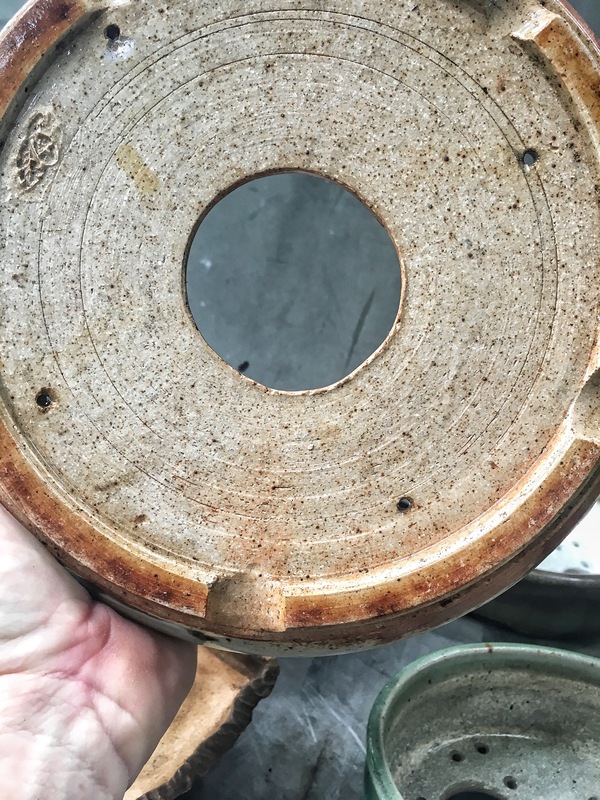 His glazing skills were even better. 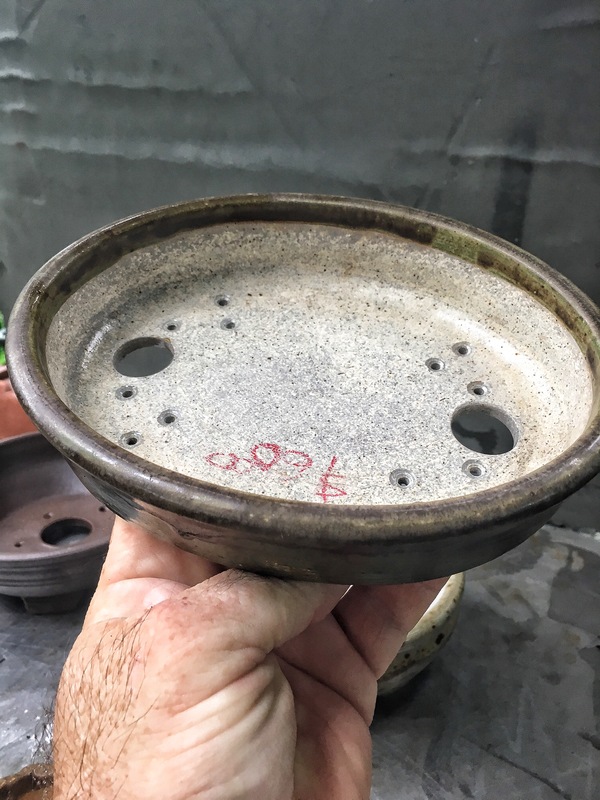 Not only were the glazes interesting and unique, but if you liked a glaze on one pot but needed a larger or different shape, he could reproduce it. 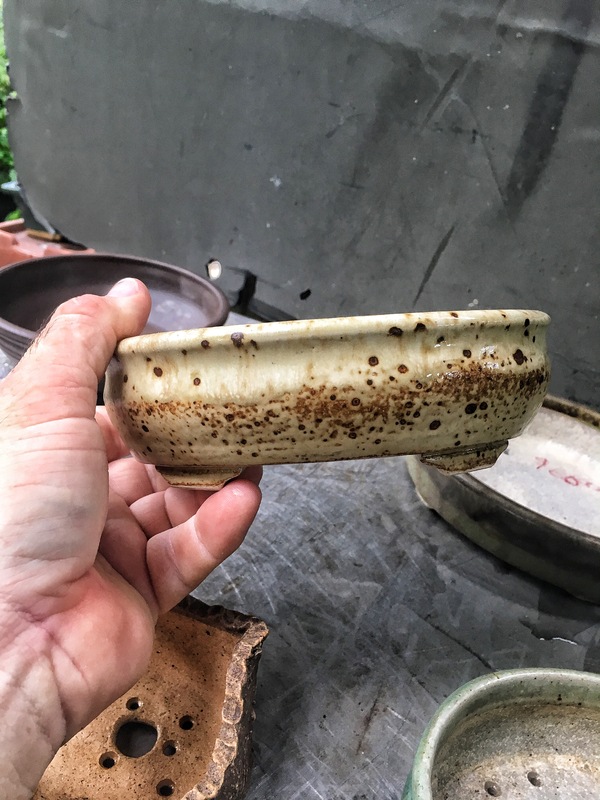 He took copious notes on the processes and recipes when he practiced pottery. He knew what worked and what didn’t. 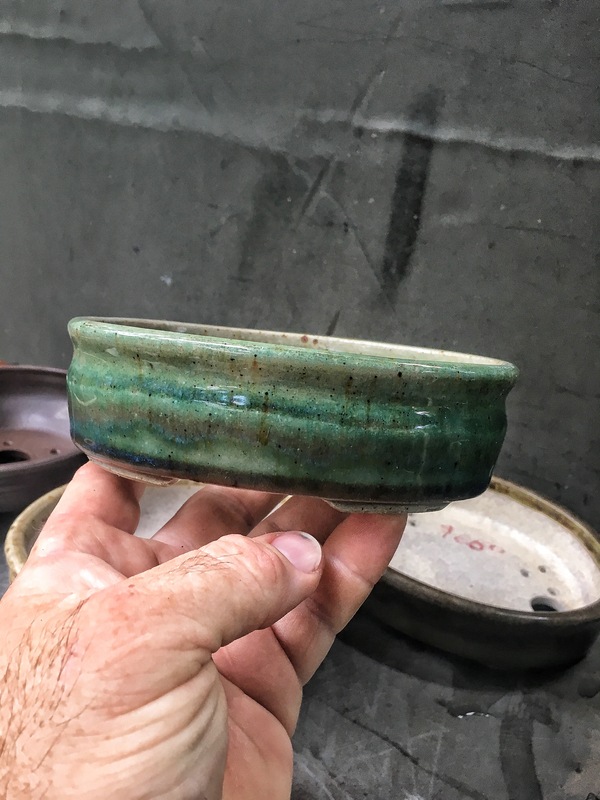 He made handbuilt, slab built, thrown, and pinch pots. 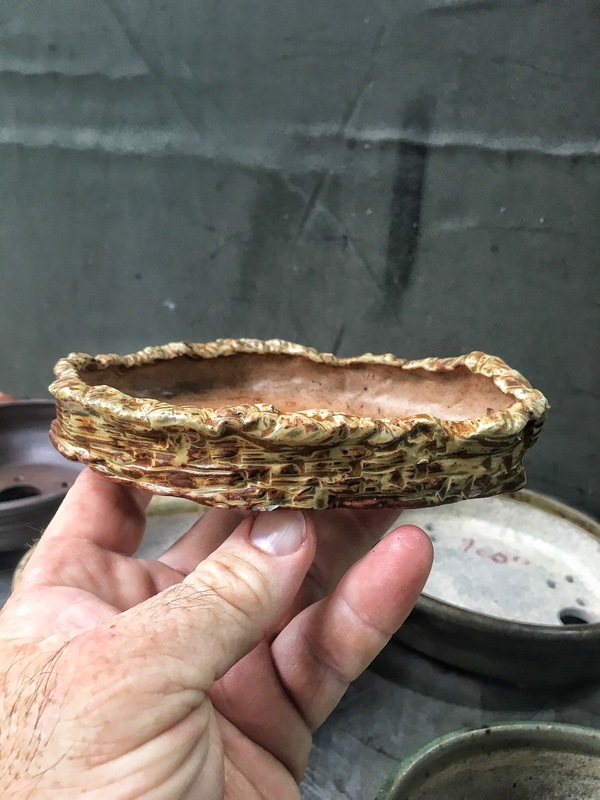 Which is a rarity in today’s bonsai pottery scene. 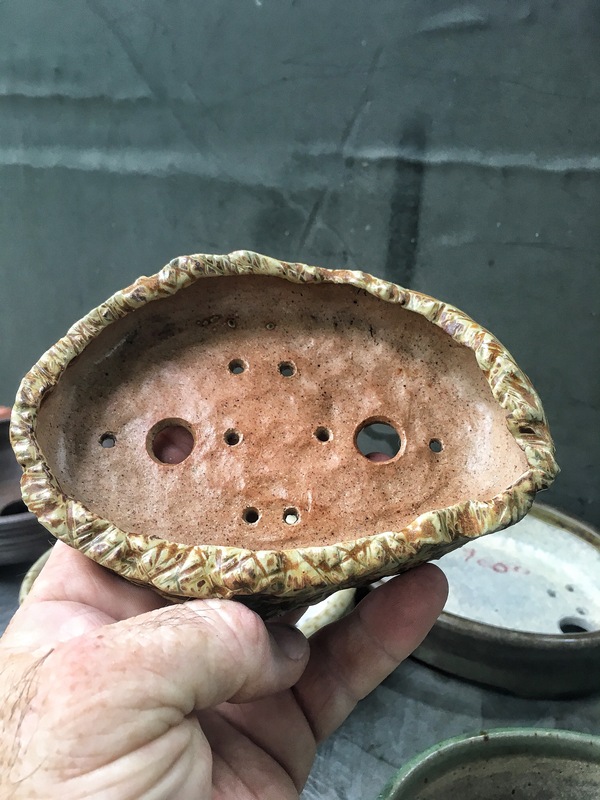 He used different clay bodies, washes, stains, and glazes in complementary and complex ways. And, most importantly, he shared what he knew without reserve. He wasn’t competitive. 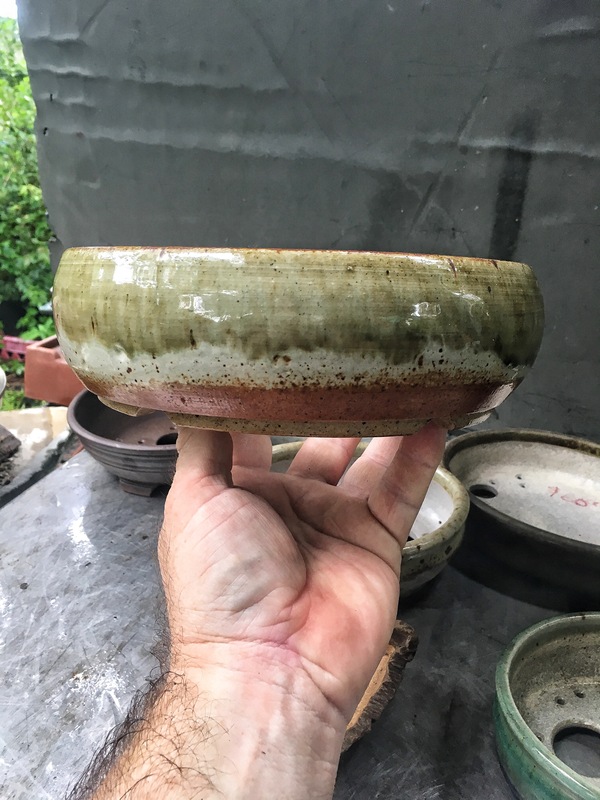 This was one of the first pots I got from him, I still love it and think it’s one of his most beautiful. It’s a wheel thrown round. 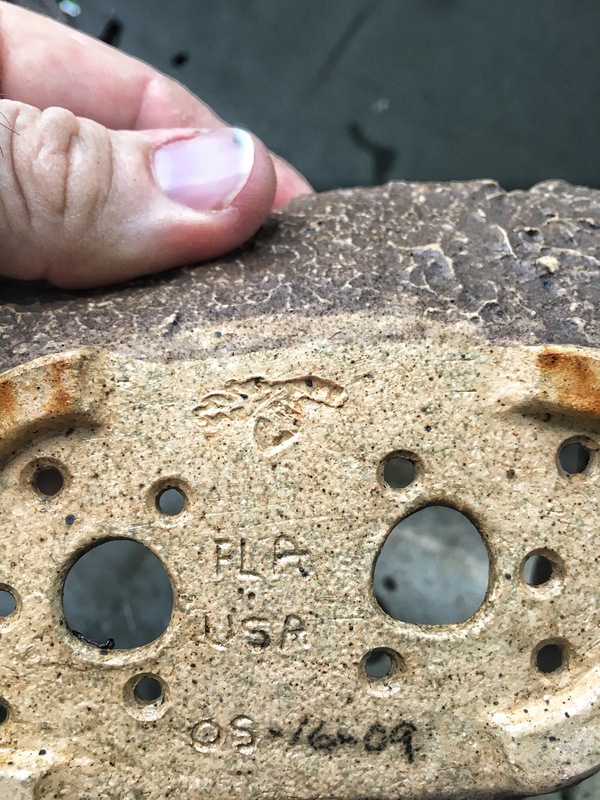 One of his first. You can just see a few things off. 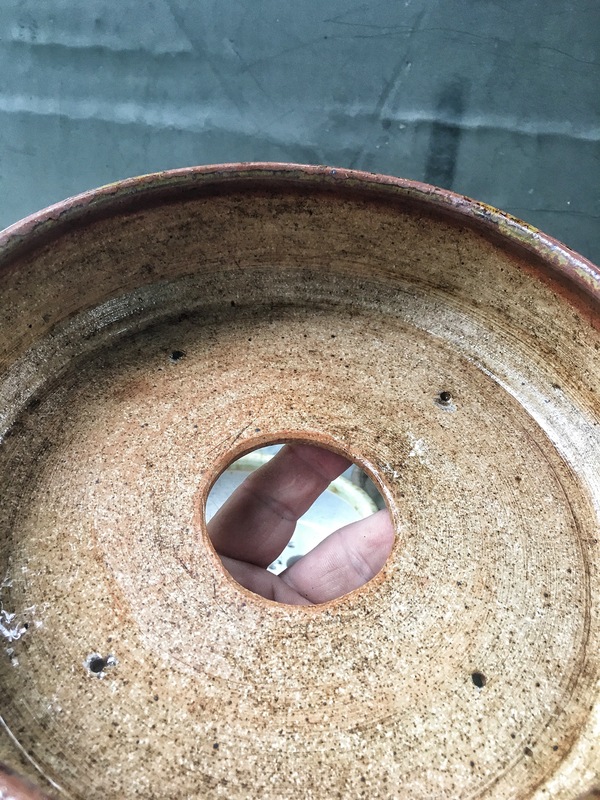 The drain hole isn’t quit the perfect circle he achieved in his later works. 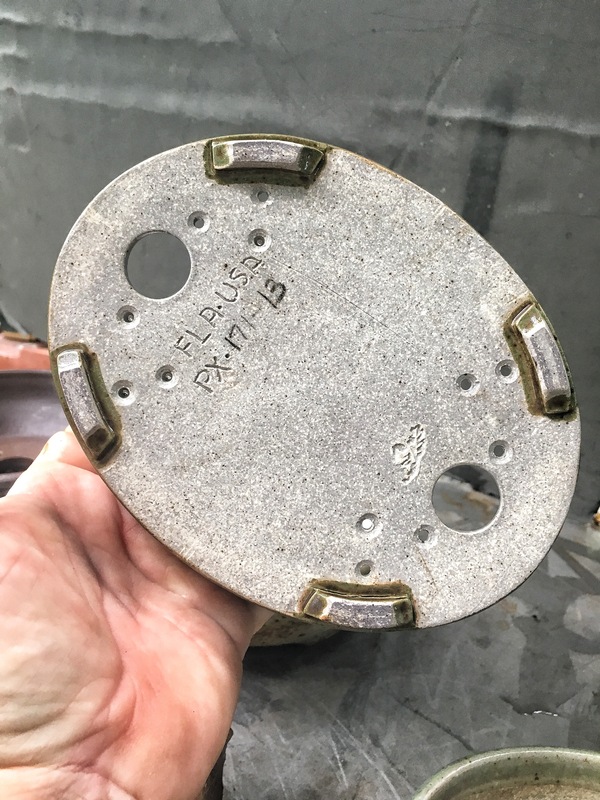 The tiedown holes are a little small and not as numerous as on the later pots. And he just has a chop, he hadn’t started his signature FLA-USA with his catalogue number. The name, Bellota, came from Bellota Italy. He loved the area and loved the name. I believe the chop might be an acorn with leaves. It is the acorns in the region of Italy that are fed to pigs to produce a type of ham that rivals the Spanish or French cured hams. 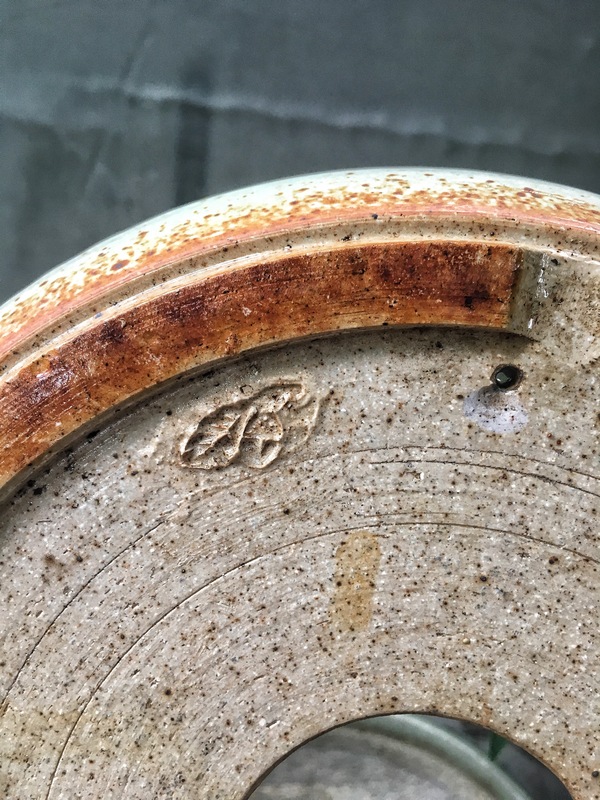 The number system on the bottom of the pots are how he kept notes. 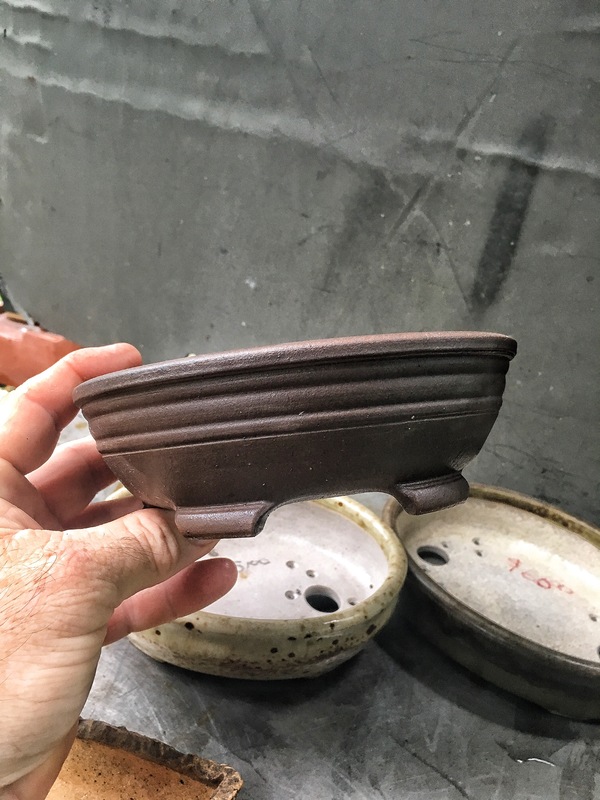 It allowed him to be able to look up the build and recipe specifics and be able to reproduce those effects on that specific pot. That’s the difference between a hack, like I would be, and a true master. And he was a master. 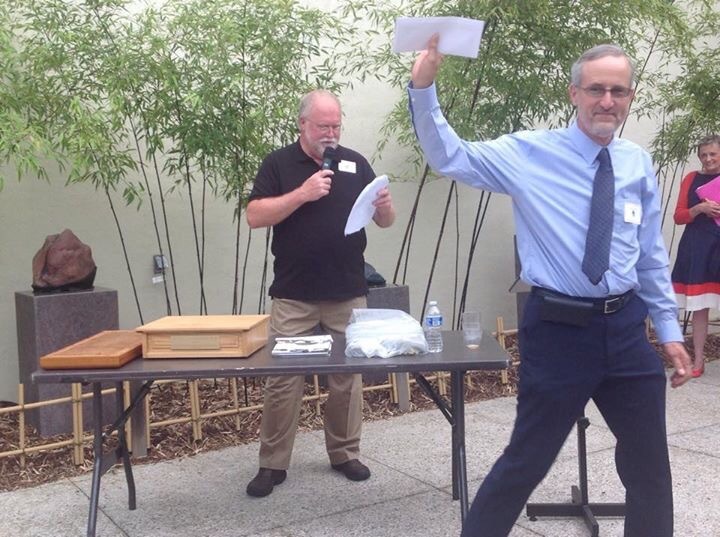 This is him winning first prize for oval pots at the Third National Juried Bonsai Pot Exhibition at the National Bonsai and Penjing Museum, June 2015. He also won 2nd place for rectangles. 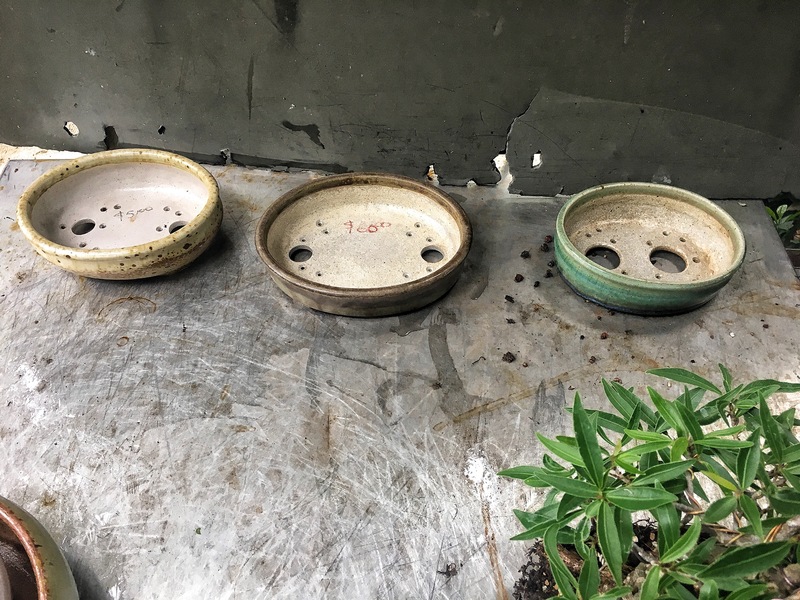 The three pots that fit our poor ficus today are these: Evan didn’t know but I let him chooose which one we would use (well, I guided him a little). The funny thing is, his first choice was also his last choice. 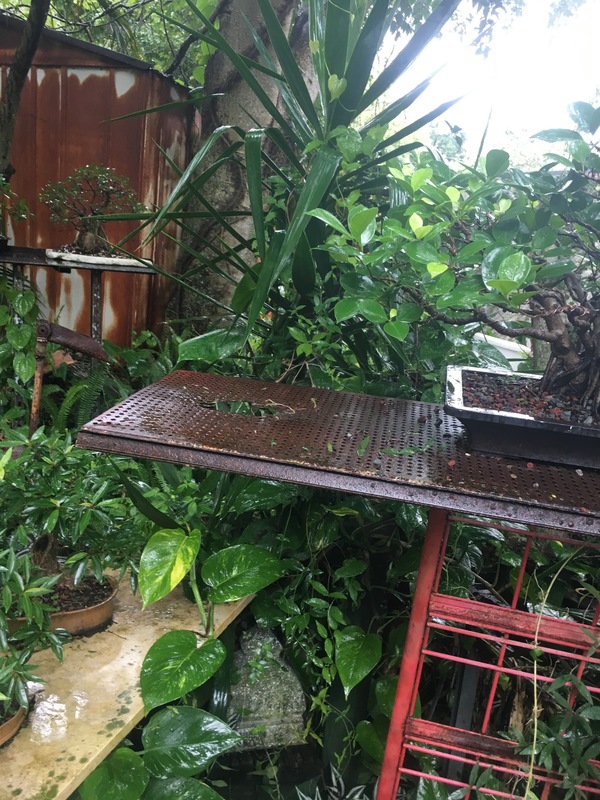 Here’s the tree in each pot. Those of you who follow me on all the socials, know which one we picked. The greenish blue one. 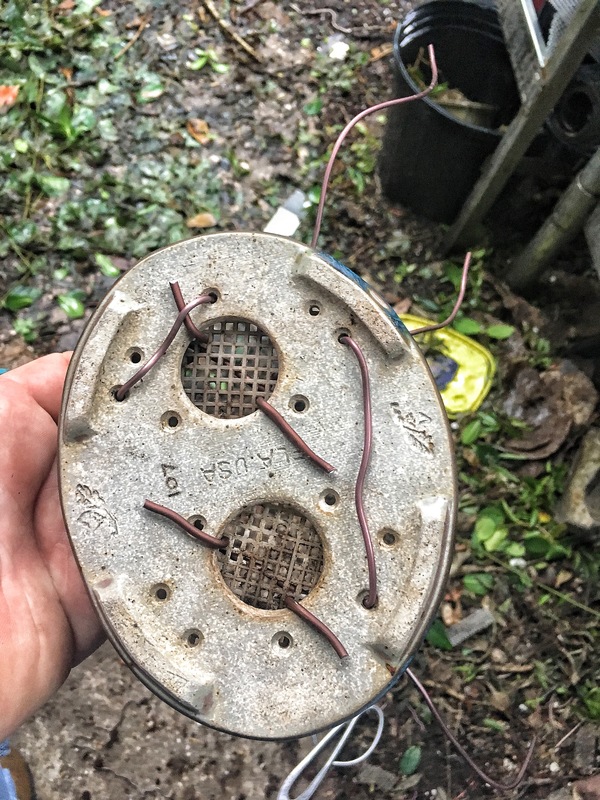 I loved how many tiedown wire holes Paul began to put in his later pots. 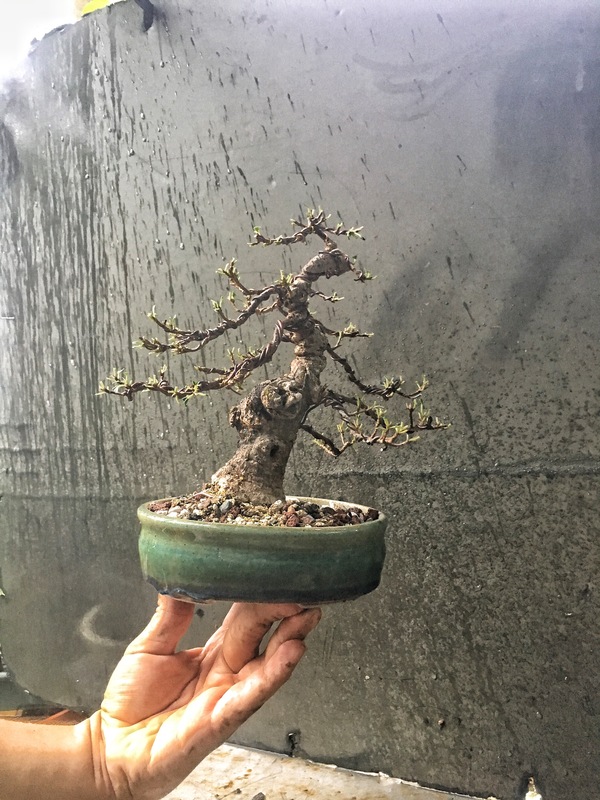 I’d like to think I influenced him in that way, we had a long discussion about it at one of the Joy of Bonsai shows one year. The reasons we chose this one were a few. 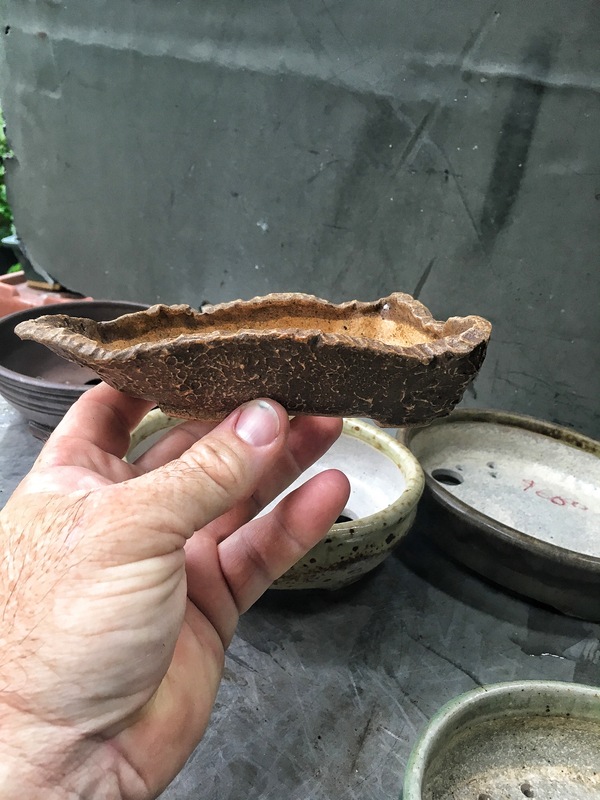 The shape of the pot wall mirrored the trunk movement on the left. 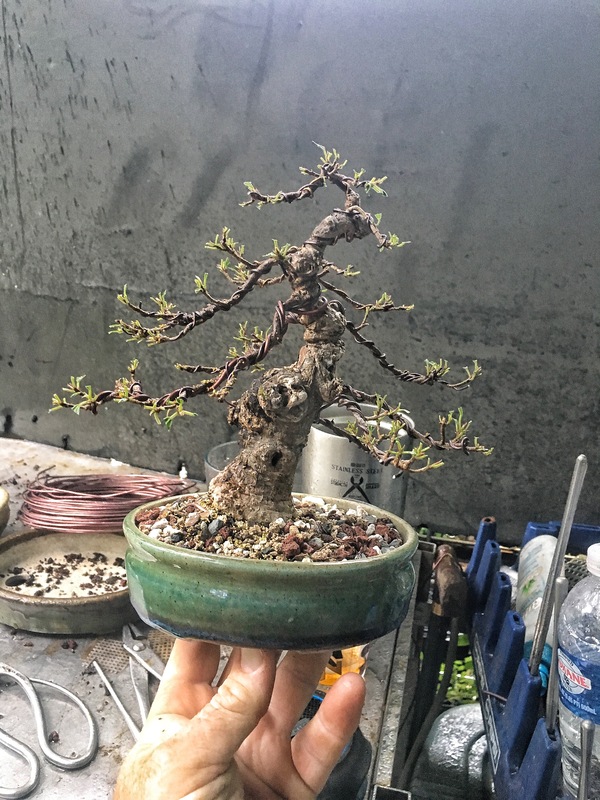 With this being an emergency repot, I wanted a deeper pot for the health of the tree. 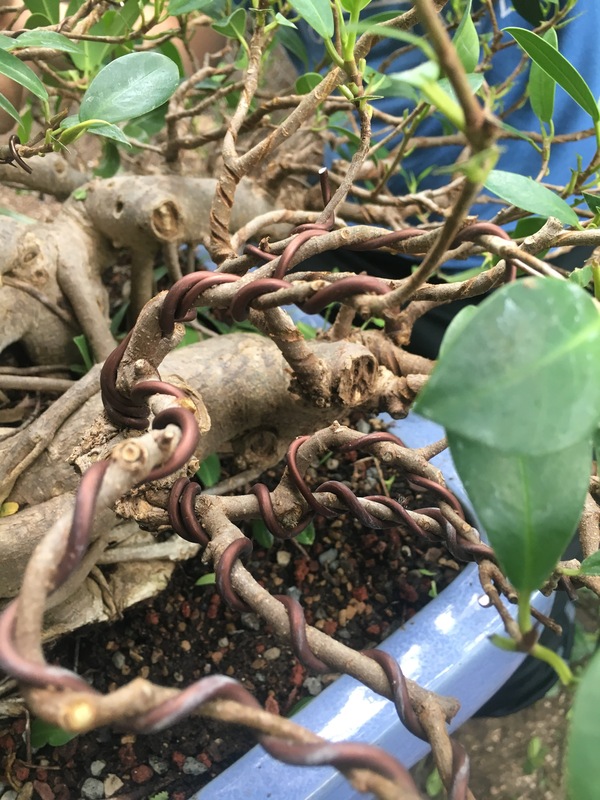 Lastly, the color complements the new, red growth of a willow leaf ficus. And now Paul. It’s hard to write this. I wish I had spent some more time with you. It’s always going to be that way. You were young, and your passing was and still is a surprise. I still have the dwarf acer rubrum you gave me. I’ll grow it out and cherish it. I have these too few pots to cherish. I have the memories, especially of the time right after I got out of the hospital the first time. I went to that years Joy of Bonsai, the one where they had the special benefit auction for me. The one where I got shocked looks from everyone because of how bad I looked. There were people who said I looked like I was dying. You didn’t treat me any differently. You just let me sit in your booth and we shared time. I can’t remember much of our conversation but it was a comfort. I remember that. Thank you for the time you gave me. I wish I had had some more time to give you. I won’t say Rest In Peace, because, even though you had had some challenges recently, you always seemed at peace, with a smile, a laugh, and a warm handshake. May your journey be one of delight, discovery, and creation. I truly feel for your wife and your family for the hole that your passing has left in their lives. I cannot imagine their pain. Thank you sir. What an excellent post! Dont get me wrong, our posts always entertain I just never comment on any blogs, but had to let you know this one was grand. Well said and heartfelt. Thank you for sharing. 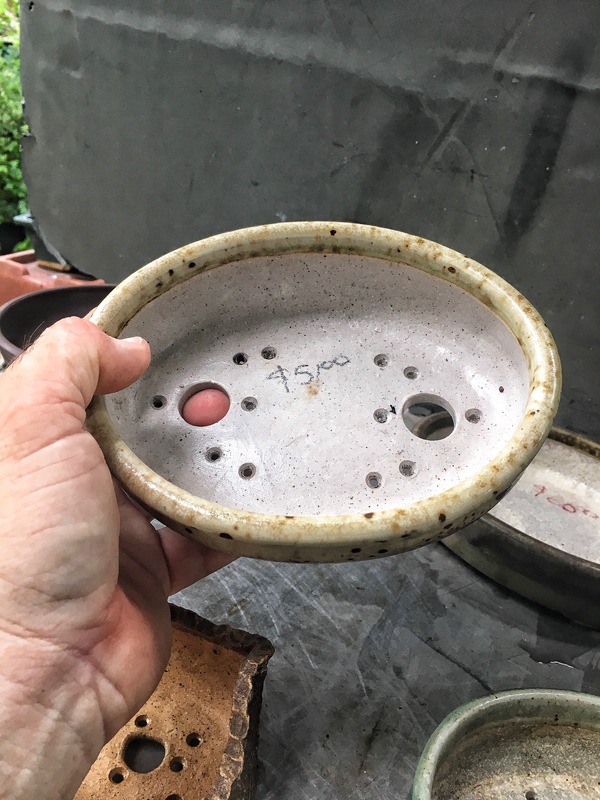 If you know where one might be able to purchase one of his special pots, it would be appreciated. Thanks again. Nicely done Adam, and congratulations on the apprentice. Very Nice tribute Adam…..Paul seemed like a genuine gentleman…..sure hope Norine has all the support she needs………I really liked them both………. Your kind words about Paul and the moments you shared really do well to honor his art and passion and the time you spent together. After reading this post I feel I missed out never knowing this great artist and feel a sense of loss for the world that we will never have any more of his amazing works of art. Thank you for sharing! Your post has a great theme of loss and new beginnings and how we carry on throughout it all. 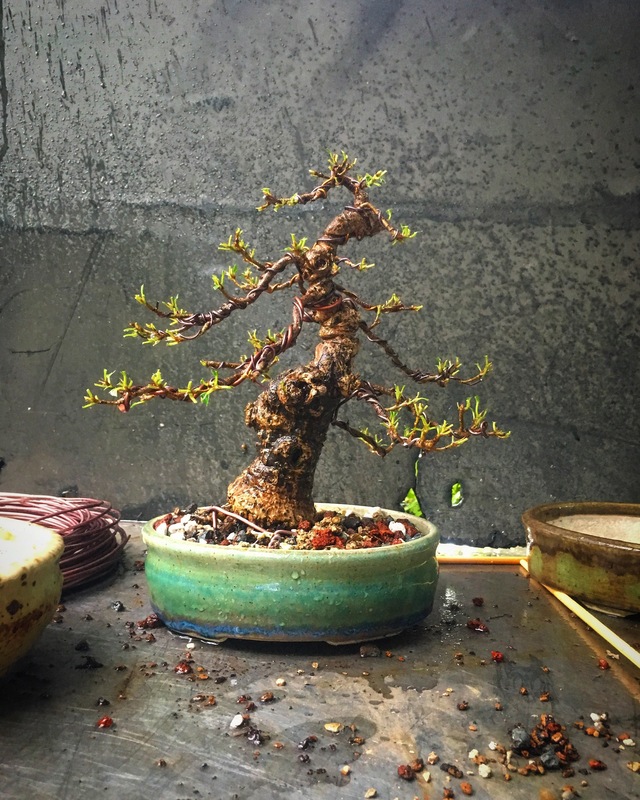 These themes, I have found are truly intertwined with learning the art of bonsai. and may the memory of Paul Katich be carried on by all of the people that were fortunate enough to know him. Like you, I too have fond memories of Paul and Norine. Both were extraordinarily kind and polite to me as well. 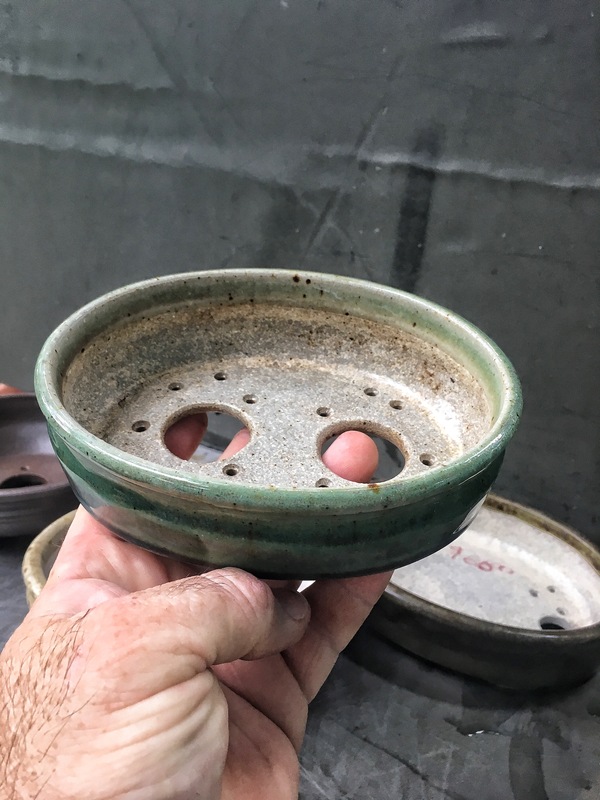 I went through my collection today and found that I have 14 pots from Paul…but I so wish I had more! Beautiful words about a true gentleman. Very nice In Memoriam of Paul. He was a nice guy and gifted potter. He will be missed. Thank you, Adam, this was beautiful. My father would be so pleased to know that his craftsmanship and character is so well respected; he always felt if you were going to do something, it should be done well. I found this blog via a google search; I just wanted to clarify: bellota means acorn in Spanish. On our first trip to the Extremadura region of Spain, we loved drinking a liquor made from acorns (Beso Extremeño). Plus, living in North Florida, oak trees have always held a warm place in his heart. Adam, my mom also thanks you. I read this to her, since it moved me so much. She found it beautiful and touching; you described him so well. 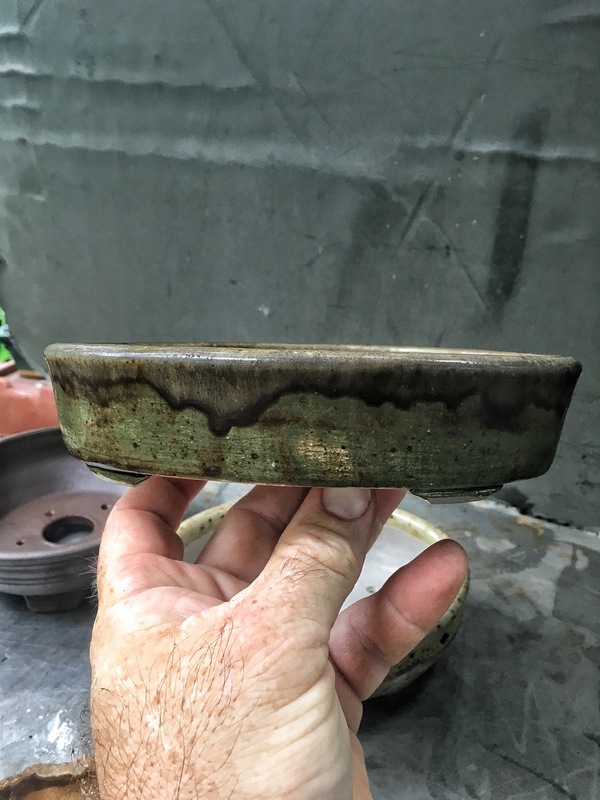 One more correction, regarding the Third National Juried Bonsai Pot Exhibition in June 2015. He won 2nd place for rounds, not rectangles. 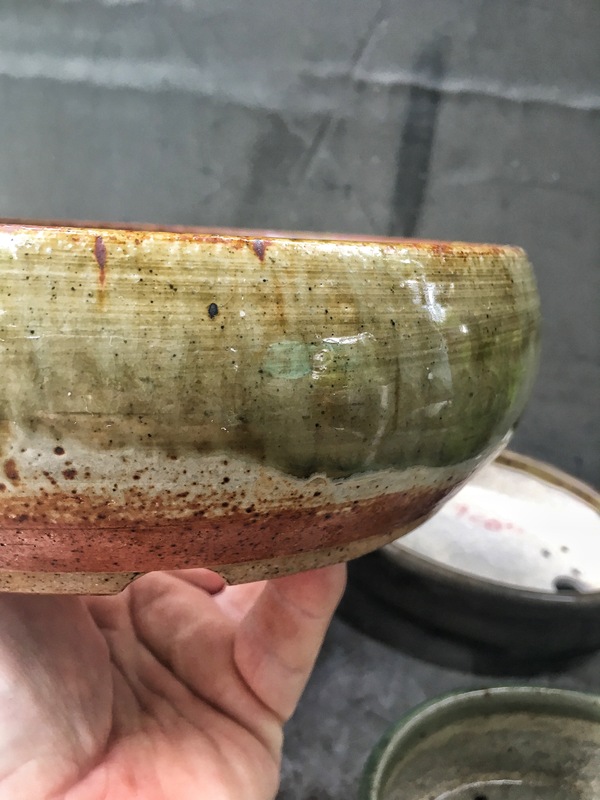 While he didn’t submit any rectangles to the competition, 7 out of the 10 pots that he did submit were displayed in the exhibition. 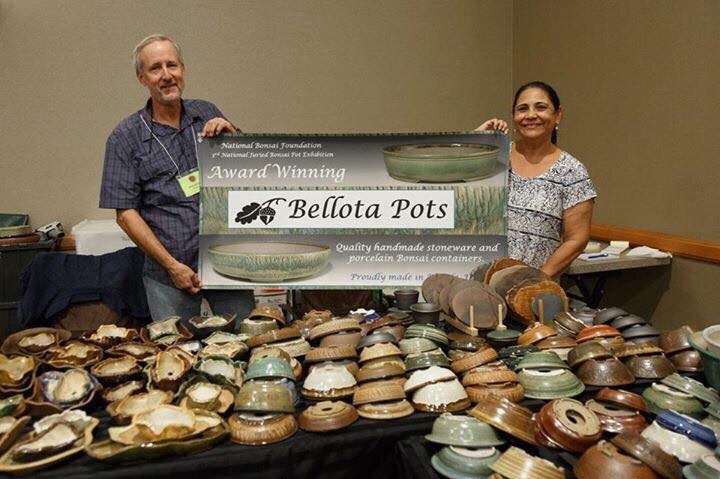 For those that are interested in buying his trees or pots, please let them know that they can still contact us at bellota.pots@gmail.com.